The term, “hyperlink cinema”, first coined in 2005, certainly applies to the movie, The Holiday, released in 2006. Other (recent-ish) films in the genre include Valentine’s Day (2010), Love Actually (2003), and Crash (2004). What these movies and other “hyperlink” movies have in common is a narrative structure that reveals an interconnectedness amidst seemingly-disparate plotlines and characters. What makes The Holiday work well, in addition to Love Actually and Valentine’s Day, is the tripartite marriage of the Romantic Comedy to the holiday movie to “hyperlink cinema”; the combination works well because the notion that we’re all connected allows us to feel all the more warm and fuzzy in a group of movies that are all about finding love in the darkest times of the year. The Holiday, although arguably the successor to Love Actually, succeeds while being more simplex than its predecessor. The film hinges around two women, Iris (Kate Winslet) and Amanda (Cameron Diaz), who seek reprieve from their doomed romantic lives by switching their houses between Los Angeles and suburban London. With adequate performances by the leading ladies, as well as the supporting men (Jude Law and Jack Black), The Holiday successfully navigates the the tricky territory of “hyperlink cinema”. As the plot alternates between the lives of the two main characters, the audience is lulled into what can be a fantasy for Americans and Brits alike: Amanda cuts movie trailers in a mansion in Los Angeles, while Iris lives in an idyllic cottage while working as a newspaper reporter in London. The lives these women lead, replete with the privileges of home and work, are enviable to the exclusion of their romantic situations at the start of the film. The situation in the film is set up so that once the main characters fix their love lifes, everything can look rosy at the resolution -- a feel-good formula indeed. With all of the trappings of an overwrought flop: the ensemble cast, a Hans Zimmer score, and an $85 million budget, The Holiday manages to keep pace with its formulaic forbears in the holiday, romantic comedy, and “hyperlink cinema” genres. 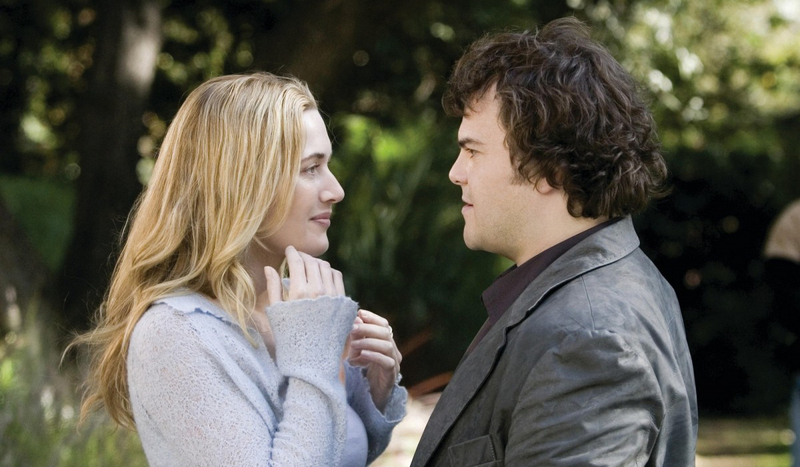 The film works because each player does their part: the Winslet and Diaz plot lines work independently, as well as meshing up when the plotlines converge. The end result is a movie that can be watched every three or four years to turn up the feels around the holiday season.